Having missed the Clasico due to a fractured arm, Argentine star Lionel Messi has returned to training for Spanish giants Barcelona. Eleven days on from his injury against Sevilla, Leo Messi was back training on Wednesday morning. The Argentinean returned to Pitch 2 of the Ciutat Esportiva for mobility work, after a few days out. 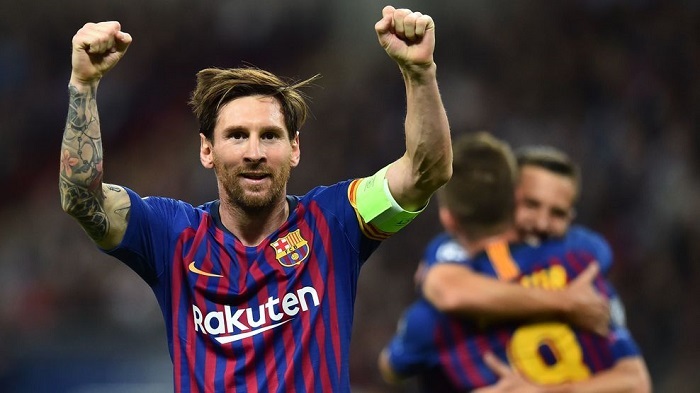 Messi worked out alongside Gerard Pique and Jordi Alba, two of the players that coach Ernesto Valverde had given the day off. The defensive duo were not included in the squad for the trip to Leon, where Barcelona will play Cultural Leonesa in the Copa del Rey Round of 32. Luis Suarez, Coutinho and Rakitic were also present, undertaking gym work, whilst Sergio Busquets and Marc Andre Ter Stegen were given permission to miss training by Valverde.